Our Spanish teaches in Cusco made a list with words in Spanish with a double or even multiple meaning. 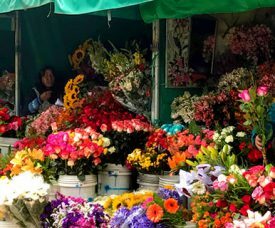 Many people learning Spanish in Peru struggle with those words, especially in daily conversations. Multiple meaning words can be quite a challenge: there are spelled and pronounced exactly the same but………the meaning is totally different. One of the things I enjoyed most during my Spanish lessons in Cusco (Peru), are the field trips. 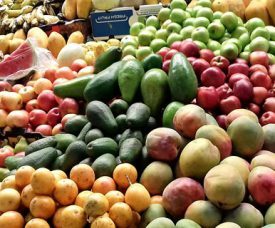 Learning Spanish in Peru is a great way to improve your Spanish quickly: during the four hours per day in small groups with my teacher, I spoken more Spanish than I’d ever done during my Spanish course home. A trip to a cemetery may not be everyone’s idea of an uplifting experience. I love cemeteries of all kinds, so when my the teacher of my Spanish Course in Cusco tells us that for our field trip today, we will be walking to the cemetery, I am curious, and, a little excited. I am imagining grey slabs of stones etched with dates and epitaphs, in rows, some new, some covered with moss. This would, itself, be interesting enough. AMAUTA Spanish School in Cusco, Peru offers interactive Spanish programs in small groups. 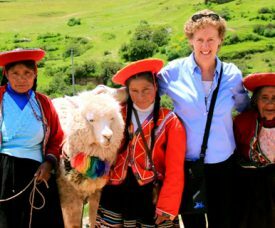 The AMAUTA professional teachers are all native Spanish speakers and will make sure you learn all about the beautiful Peruvian culture! The best thing: All Spanish programs are ON OFFER with 20% OFF NOW! 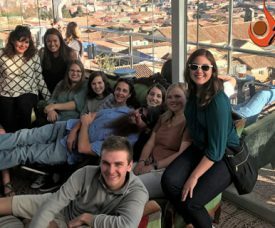 Benefit from enjoyable Spanish lessons in Peru in a small group and practice your Spanish in the streets of Cusco on exciting trips with your teacher outside of the classroom! The idea of cultural relativism can be beneficial when traveling to a new country. Especially when you go with the goal of learning the Spanish language and be immersed in the local culture, being flexible is a helpful skill. If you are on a Cultural Spanish Language immersion program in Peru, you want to do so with an open mind. 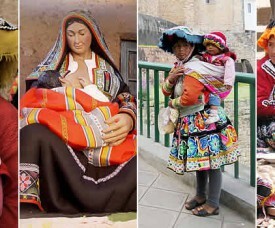 Peru has a rich history which has produced many beautiful things that need not one iota of cultural relativism to be able to appreciate. There are, on the other hand, several things which I, and many AMAUTA students learning Spanish in Cusco with me, have had to stop and scratch their head about. 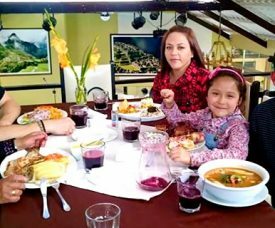 Review AMAUTA Spanish School Peru: great experience! “Hola! Somos Matt y Chase y somos de Canada! 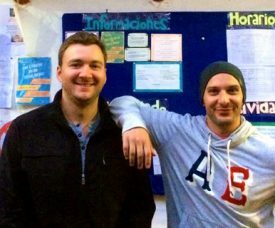 We have been learning Spanish at AMAUTA Cusco for just two weeks and it has really been a fantastic experience. We´re both good friends and teachers in Canada and we came to brush up on our Spanish-language abilities in Peru in the hope that one day we may be able to teach the language! 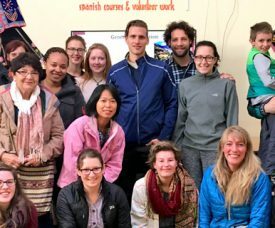 The Canadian education system actually helped us pay for our trip down to Peru, and it has been money well spent with the wonderful teachers of our Spanish Course in Peru at AMAUTA Spanish School. Hola! Yo soy Sarah de los Estados Unidos. I studied for six weeks at AMAUTA Spanish School in Cusco, and during my time here, my Spanish improved a lot. When I came here, I tested into an intermediate level, but I don´t really know how much Spanish I truly knew. Now I am finishing with an advanced level, and I do feel like I learned so much from my teachers at AMAUTA—so many new words and tenses! 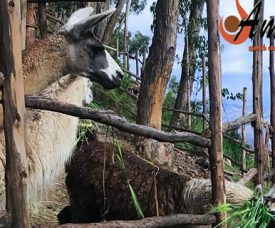 If you’re learning Spanish in Cusco, for sure, you love to visit the many local cafes, bars, and restaurants in this lovely small town high up in the Andes. There are many to choose from. 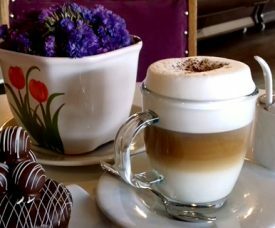 Some are more popular than others; some have a great view of the Plaza de Armas, others a bit cheaper, have delicious local Peruvian pastries and desserts… I was curious to know: what are the nicest cafes with the best coffee in Cusco? It took me actually while to find out. But now that I’m in my fifth week of Spanish studies at AMAUTA Peru, I think I know 🙂 . And I’m ready to tell you where to find the nicest cafes with the best coffee in Cusco!